Bus scholarships available for student groups, contact info@inprinthouston.org. 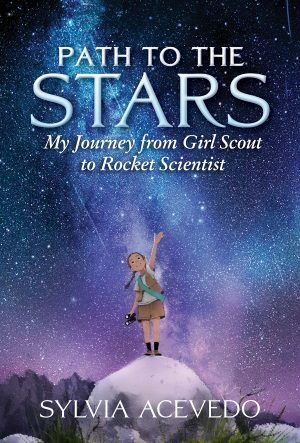 Path to the Stars is a memoir for young readers from the inspiring CEO of the Girl Scouts, Sylvia Acevedo. In it, Acevedo retraces her journey as a young girl in an underprivileged New Mexico neighborhood to her present triumph as an accomplished scientist and national leader. Where Sylvia was growing up, many girls were not graduating from high school, let alone going to college from her community. Sylvia’s story of overcoming obstacles with confidence, hard work, and education is an inspirational tale. She navigated shifting cultural expectations at school and at home, forging her own trail to become one of the first Latinx to graduate with a master’s in engineering from Stanford University and going on to become a rocket scientist at NASA’s Jet Propulsion Laboratory. A gifted public speaker and an incredible role model, Acevedo is an advocate for empowering children to achieve their dreams, especially encouraging an interest in STEM education. 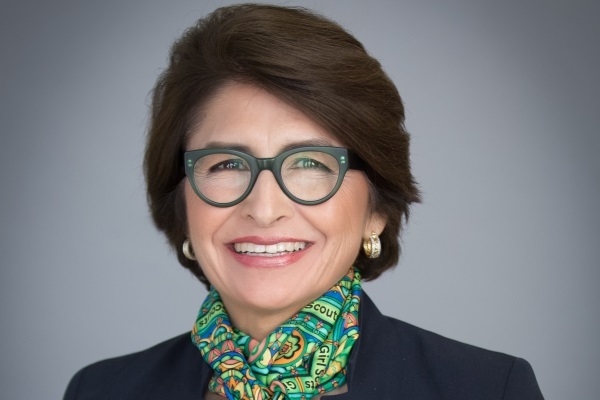 In addition to being a rocket scientist at NASA, she has worn many hats—an engineer at IBM, an award-winning entrepreneur, businesswoman, commissioner on the White House Initiative for Education Excellence for Hispanics, and currently, CEO of the Girl Scouts of the USA. To learn more about Sylvia Acevedo, click here.